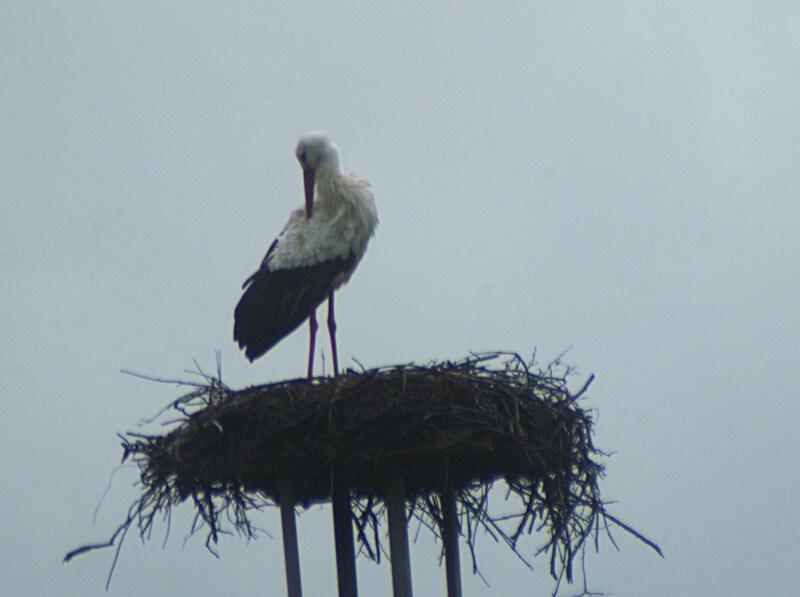 White Storks are a characterful and integral part of the local landscape and their residence here is actively encouraged, with many areas providing purpose-made platforms on top of pylons etc. A breeding colony thrives at San Roque de Estacion where nests occupy the tops of just about every available low-rise pylon set along the railway track. The numbers of birds here has increased noticeably over the eight years we have lived here and birds are having to move along the A-405 road towards Jímena de la Frontera to find fresh nesting sites. Many of the birds remain here during the winter months rather than migrating to N Africa and can be seen around and about hunting in fields and even up on their nests. I love to see them and if I’m heading in that general direction, often make a longish detour to see what they’re up to and the sight is always included in tours for visitors that don’t know the area. By now, late January, many of the birds have returned to their nests with their mates and occupy them pretty much constantly, guarding against the invasion of potential squatters. I went for a look yesterday and found that many of the nests were indeed occupied, by either one or two birds, although there were a few empty ones too. The birds stay put even in the rain and I took some photographs as they were drying off and preening between some heavy falls. 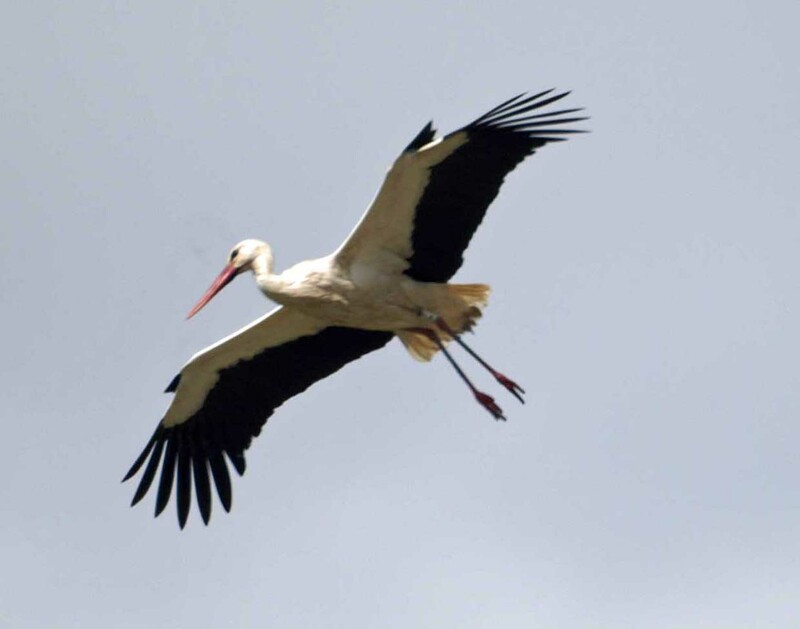 White storks (Ciconia ciconia) have been studied intensively over the years as their habits and survival are closely connected to how we treat or manage our environment. 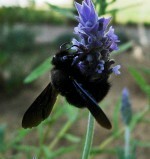 They are one of the key species used to promote public awareness in the fight for nature conservation. White storks travel south to the warmer climates of Northern Africa for the winter and return to various parts of Europe to breed in summer. According to the last census, Poland is by the far the most popular host for White Storks with over 50,000 breeding pairs. Spain follows second as an attractive host with Portugal and France showing an increase in numbers. Between the years 1970 and 1990, there was a sharp decline in the White Stork population and the census count was at its lowest in 1984. There has since been an increase in breeding pairs, particularly in the western part of their nesting regions but their numbers have not reached what it was before the decline. Their status is therefore listed as ‘depleted’. Hazards: Out of the many factors that affect the White Stork’s survival, mankind has the largest impact. Development in areas that were previously natural breeding grounds displaces them. Uses of chemicals in modern agricultural practice depletes or poisons their food. 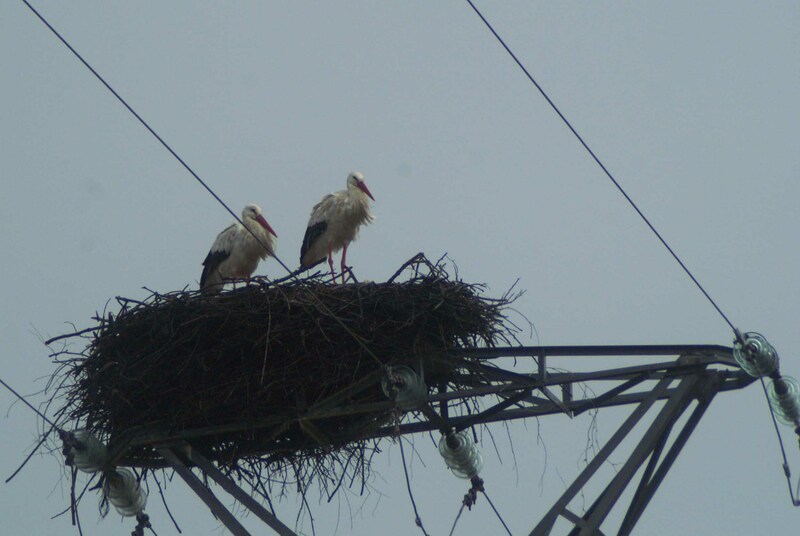 Some suffer electrocution by high voltage power lines, especially those along the White Stork migratory path. Reasons for Re-population: Between 1984 and 1994-05, the population increase along the western migratory path has been attributed to favourable winter climates. A number of White Storks also chose to winter in Southern Spain instead of crossing the Strait into Africa. Changes in their feeding habits also led to a rise in number of breeding storks along the Iberian Peninsula (more irrigated fields and large garbage dumps provided alternative feeding). Extract from Waterbirds around the world. The Stationery Office, Edinburgh, UK. 960 pp. Boere, G.C., Galbraith, C.A. & Stroud, another bird to being a lighthouse, warning us of the changes in the environment. In paying attention to their survival, we also help protect the land in which we live. Ciconia ciconia, White Stork. 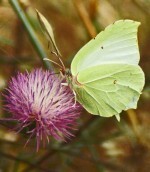 http://www.birdlife.org. This entry was posted in Birds of Southern Spain, Cadíz Province, Wildlife of Cadíz and tagged ciconia ciconia, Herons, wading birds, White Stork, White Storks in Southern Spain. Bookmark the permalink.